Use the three primitive shapes namely circle, square & triangle and operations like union, intersection & difference to create complex shapes. 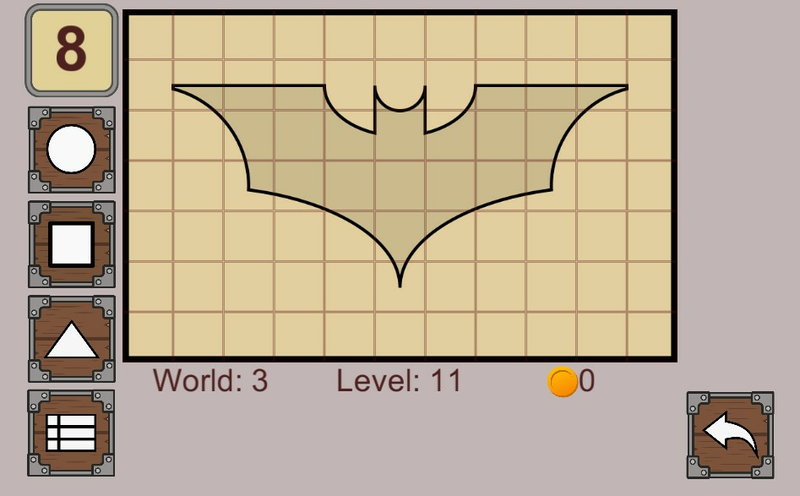 You can scale, translate and rotate the shapes.Each Level has a template the outline of which will be displayed. Try to construct a figure that fits the template using the shapes provided, tools and the operations. 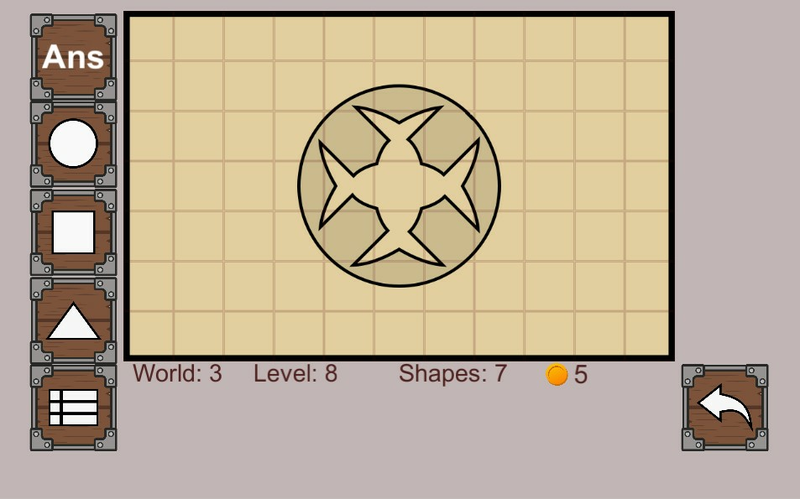 You are allowed to use only a certain number of shapes.